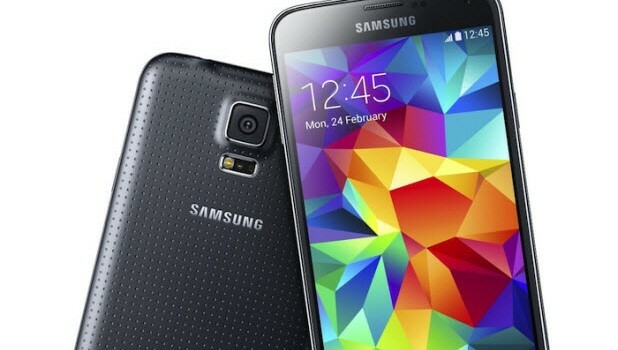 The Android 5 Lollipop update for the Samsung Galaxy S5 was one of the most anticipated updates this year and many have been waiting for its roll out, so much so that it created a buzz on the internet until it was made available for download. And then, likes turned to disappointments when users discovered it was full of bugs and other issues. Text messaging problems are among those issues and while many have found a workaround, there are still a lot of users out there who are helpless. Here’s one of our readers who encountered this problem. According to her, the Galaxy S5 just stopped receiving text messages after an update. She has the AT&T variant of the phone and we will try to look into the issue to see if we can help. Problem: I have NEVER had an issue with not receiving text messages (that I know of)… The only reason I found out about this issue is because my husband and I text all day long, and all the sudden I was noticing I was not getting any response from him randomly. He called and asked why I was asking him why he wasn’t responding, when he clearly was texting me? While we were on the phone, I took a snap shot of my message thread from him, and he did the same and text it to me, needless to say I never got it, so he emailed it to me. We are annoyed that this started happening and not even sure why it is happening? Please help! His phone is a Galaxy S5 Active. Mine is Galaxy S5 (AT&T). Both newer phones, and need to find a solution to this issue, if it is a weird app on my phone, I will delete it. Please help. Thank you. Before we go any further to troubleshoot this issue, visit our Galaxy S5 Troubleshooting page if you have different problems with your phone. We already addressed hundreds of problems before so all you need to do is find issues related or the same as yours and try the solutions we provided. If they didn’t work for you, then feel free to contact us by filling up this form. Make sure to include all important details of the problem because the more information you provide, the easier for us to help you and the more accurate our solutions are. The purpose of this troubleshooting is to know or have an idea what’s causing the problem. We will use the technical deduction method in troubleshooting this problem and everything will be based on how our reader described her problem. One of the reasons why the phone can’t send/receive messages abruptly is when there’s no credit left on the account of the owner, at least, that’s how it works in the U.S. However, she can still send text messages, which are of course, received by her husband, so it’s not credit-related. So far, there were very few S5 owners who reported having messaging issues caused by other apps. The fact is it doesn’t matter how many messaging apps you installed on your phone, the messages will still be received. So, it’s not app related. Before going even further in our troubleshooting, there’s one setting in the messaging app that needs to be checked because it concerns about the number of text messages the phone is allowed to receive per conversation. It is imperative to be checked in this case because Olivia said she and her husband exchange text messages everyday so there must already be thousands of messages sent and received in a week. Touch the Menu icon on the upper-right corner (3 dots). Now tap text message limit. Increase the number of messages to be received. If it was set to a lower number or if Delete old messages wasn’t enabled, then that could be the problem and at this point, it may have already been fixed. However, if the it remained after following the procedure above, then it’s time to go deep in our troubleshooting. The update may have messed up some caches or data. Since the problem affects the Messages app, it’s just right to clear its cache and data but before you actually do that, try rebooting the phone first if you haven’t done it yet. If the problem remained after this, try to boot the phone in safe mode. This time, let’s rule out the possibility that a third-party app has something to do with it. This may be related to the problem I had with my pebble time smartwatch. It is the way the phone numbers are entered in your Samsung phone. I had one contact that wouldn’t send notifications to my pebble time. Acceptable I think: 5554657325, 555-675-8674, (555)-593-9465. NOT (555)856-8463. It’s a Samsung thing. Sometimes they’re special.